"The animal endures a painful and panic-filled wait until they either die from exhaustion, blood loss, dehydration, hypothermia, or are clubbed, choked or stomped to death by the trapper (so as not to damage the pelt)," the Association for the Protection of Fur-Bearing Animals (AFPA) reports. In the hours - and sometimes days - after they've been trapped, many of these animals resort to chewing off their own limbs in order to get free. "There's no way you can modify a leghold trap in a way that won't cause extreme trauma to the animal," Animal Welfare Institute president Cathy Liss told The Dodo. "You have a device that is slamming onto the animal's limb, and it's going to hold them in a vice-like grip, severely restricting or cutting off circulation." This atrocious method of trapping animals has been banned in 80 countries, and 8 U.S. states. There is no reason it shouldn't be banned in all 50. 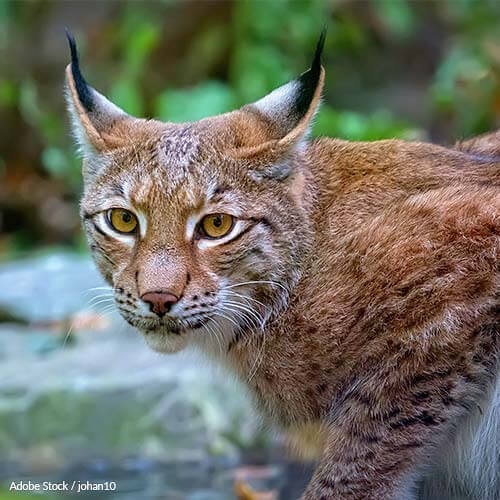 Sign the petition below and tell the Director of the United States Fish and Wildlife Service (USFWS) that leghold and foothold traps should be banned completely in the U.S. I am writing you to express my concern over the permitted use of leg hold and foothold traps in the United States. The American Veterinary Medical Association, the American Animal Hospital Association, and the National Animal Control Association, have all declared the steel-jaw leg hold trap inhumane, and the trap has been banned or restricted by more than 80 countries and 8 U.S. states. They have been traditionally used by fur trappers, as the mechanism does not harm the majority of the animal's fur. But once trapped, the animal is unable to eat, drink, return to their nest or babies, find shelter, or defend themselves from predators. Time elapsed from being trapped to being found and killed could be hours. It could be days of suffering. According to the AFPA, many resort to chewing off their own limbs, breaking teeth and bones to get free. This atrocious method of trapping animals needs to be banned in the entire United States. Please, work to spearhead the prosecution of any person found using these traps and enact legislation which prevents them from being used in the future. Do not allow this cruelty to continue! That's 13,811 signatures! Let's keep the ball rolling.